Is your home priced to sell? Abbitt can help! | Hampton Roads Real Estate :: Abbitt Realty Co. In today’s real estate market in Hampton Roads, more houses come to the market every day and eager buyers searching for their dream home, so setting the right price for your house is one of the most important things you can do! According to CoreLogic’s latest Home Price Index, home values have risen at over 6% a year over the past two years, but have started to slow to 4.4% over the last 12 months. By this time next year, CoreLogic predicts that home values will be 4.6% higher. Wonder what those statistics look like on a local level in Hampton Roads? Call one of our Realtors today to find out more about what is going on in your neighborhood. With prices slowing from their previous pace, Hampton Roads homeowners must realize that pricing their homes a little over market value to leave room for negotiation will actually dramatically decrease the number of buyers who will see their listing! 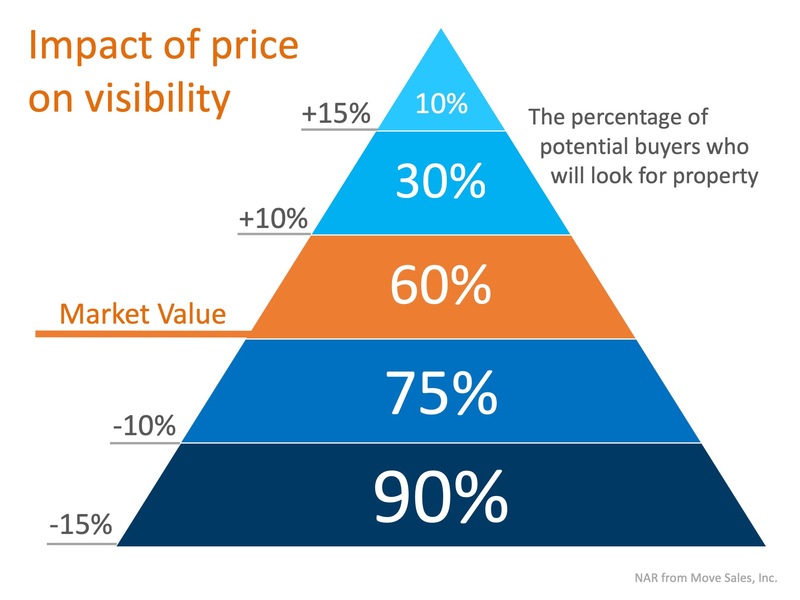 (see the chart below) Instead of the seller trying to ‘win’ the negotiation with one buyer, they should price their house so that demand for the home is maximized. By doing so, the seller will not be negotiating with a buyer over the price, but will instead have multiple buyers competing with each other over the house. The key to selling your house in 2019 is to first call a Realtor with Abbitt Realty who knows the local Hampton Roads market, and second to make sure your house is Priced To Sell immediately! That way, your home will be seen by the most buyers and will sell at a great price before more competition comes to market. Abbitt Realty has many buyer’s agents with buyers actively searching for their Hampton Roads dream home now! If you are debating listing your house for sale in Williamsburg, Newport News, Yorktown, Hampton, Poquoson, James City County, York County, Gloucester, Smithfield, Suffolk or any other area in Hampton Roads, let’s get together to discuss how to price your home appropriately for our area and maximize your exposure this Spring Market! Original article courtesy of of KCM Blog and is available by clicking here.